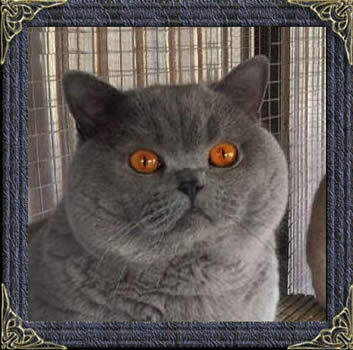 We are Breeders of Healthy, British Blue Shorthair cats and kittens in Kent, Located in England. We specialise in the breeding of mainly British Blue Shorthairs, also blue-cream and cream kittens. On occasions we have Bi-coloured Kittens . So far we have preferred to concentrate our efforts on breeding only self British Shorthair kittens and Bi-colours, rather than spread ourselves too thinly and deal with perfecting too many different coat patterns. I used to show some of my cats at GCCF Shows. This has been put on hold for a while. We have had some success over the years, for more information go to the show page linked at the bottom of this page. We are owned by 4 Neutered british girls, a boy who is a British Blue Shorthair. The rest of our furry family (2) are active, who are going to be spayed after Christmas 2014. All my British Shorthair kittens go to pet homes and not registered on the GCCF 'Active Register'. Read More about my cats and hobby breeding on different pages of my website See the bottom of page for individual links. 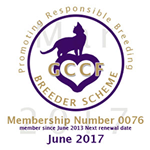 All my British Shorthair cats and kittens are all micro chipped and I am a fully qualified implanter, see Micro chipping page for further details. My Website is updated on a regular basis. So all information is current. The copyright of this site belongs to Julie and Mabledon British Shorthairs which includes all photos, text and graphics, unless stated otherwise.